mad street cred: "We did whatever we could do to win"
"We did whatever we could do to win"
This post is not about a six-year-old girl. 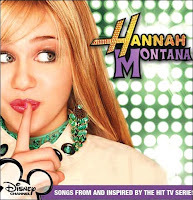 This post is about a six-year-old's mom and the pop culture phenom that is Hannah Montana. In case you haven't seen this story, you can read about it on CNN.com: "Girl wins concert tickets with essay faking dad's death in Iraq." Basically, a little girl entered a contest to win Hannah Montana concert tickets and a Hannah Montana makeover by submitting an essay that started: "My daddy died this year in Iraq." It came out this week that the girl and her mother made the story up to win the contest. Her mother said: "We did whatever we could do to win." Let's face it, a six-year-old doesn't know any better. Age 6 is when we start to learn these things. You steal something from your friend's house, your mom yells at you and makes you return it and apologize. Moms are around to teach those lessons. How else will kids learn right from wrong? Which is why I think this story is horrifying. It's doubtful that the essay topic was the kid's idea. And all for Hannah Montana tickets?! I've seen these kids and their moms on Oprah when people from Hannah Montana are the special guests. They need to pull it together! Especially the moms. It's a kids' show. Get a grip. But this has taken the Hannah Montana frenzy to a new level. And this girl's mother should be ashamed of herself. Not only teaching her kid to lie to get what she wants -- but THIS kind of lie? There are ACTUAL soldiers dying in roadside bombings. There are actual people with dying parents. Two of my friends' parents died recently. And this girl's mother encourages her to make up a dead dad in her essay for HANNAH MONTANA tickets? Watch out for this duo. I'm sure beauty pageants are next. This woman screams stage mom. I just hope her kid has someone around who she can look up to -- and maybe someone teaching her a lesson or two as well. And a message to all you Hannah Montana crazy people out there -- it's just a show. (This is coming from the queen of tv, too, so it means something.) You all need to get it under control. It's not really that important. Like I said, there are ACTUAL soldiers dying in roadside bombings... Who don't know who the hell Hannah Montana is. And who couldn't care less. Dear Barista: I'll have a Virgin White Russian? Is your va-jay-jay better than your Visa?